Before this lovely June weekend began, I bemoaned the evident end of spring migration. What I failed to recognize were all the great things that happen around here when the waves of migrants subside. For example, the local farmers’ markets are back in action! If you can’t get fresh birds, at least enjoy fresh produce. 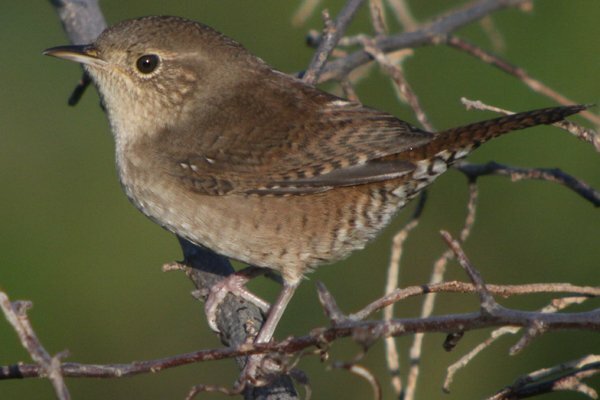 My favorite sighting this weekend was a House Wren at my house. Corey’s Best Bird of the Weekend was an easy one to decide upon. After all, if you get one lifer in a weekend that bird clearly has to be your Best Bird of the Weekend! To get his first ever King Rail, Corey left his house at 3:30 AM and drove two hours north to his home town of Saugerties, New York, where he spent an hour in close proximity to a very vocal King Rail in the Great Vly. Sadly, the bird only let him get a few quick glimpses so there is no picture to share. The King Rail was Corey’s 502 in the ABA, putting him 1 up on me. Jerk. A vagrant Iberian Chiffchaff in the fog on a high, boreal Black Forest summit (a long-staying bird). Possibly the weirdest place I’ve ever had the pleasure of encountering a Mediterranean bird. Best bird: I have no idea! It flashed by way too fast. It looked and sounded like a red-winged blackbird, but I’ve never seen one of those, here; I’m not sure we get them. Also, I saw my first juvenile pigeon. Worst bird: No irritating bird activity, this weekend, but I saw two horrible kids on the roof across from my balcony, smashing gulls’ eggs. Is that even legal? It seems like something that wouldn’t be legal. Poor gulls. They are having no luck. They nested on that roof last year, too, and their eggs got cleared away by building management every time. This year, it’s mostly been crows, helping themselves to the buffet. I am not so enamoured of the gulls landing on my balcony and making noises at 5:30 in the morning, but I certainly don’t wish this on them. I hope they manage to hatch one egg, at least! Sparrows – all kinds. I’m pre-scouting for a morning-chorus trip I’ll be leading next weekend. At one stop: Savannah Sparrow, Chipping Sparrow, Grasshopper Sparrow & Field Sparrow. If it wasn’t for their distinctive songs you might never see them or i.d them. Same as Corey (and that’s about all we’ll ever have in common as birders!). On the way to Doodletown Sunday we stopped at the Great Vly and listened to the King Rail click click click for 20 minutes. The lead car in our group got a glimpse of a chicken-sized bird dashing across the road but that was all any of us saw. Amazingly loud — it sounded like it was only a foot away from us. I could sure go for a King Rail in New York state! My best bird was Resplendent Quetzal seen in highland forests of Poas Volcano. One lone Killdeer on a stony beach here on the Olympic Peninsula. What a beautiful bird with an unusual red eye ring! Best bird this weekend was a great crested flycatcher at the Jamaica Bay Wildlife preserve. But the best sighting of the weekend was an “open Saturday and Sunday from 7am to 7pm” sign on the pedestrian overpass entrance to Willow Lake in Flushing Meadows Park! Closed for years, the now named Pat Dolan Nature Trail has finally reopened and is available for weekend birding. The access is at the intersection of Park Drive East and 73rd Terrace in Kew Garden Hills, Queens. In our short stop there on Saturday we had half a dozen killdeer, numerous gold finches, and aptly named for its location willow flycatcher. So all queens birders, come take advantage of this now opened gem. 16 White-necked Herons soaring over home….high up! Then came the rain….yes, it is the Dry Season, but sometimes it rains if it comes down from Asia! Went to view the bald eagle nest in Pittsburgh, PA along the Monongahela river. Signs are posted along the river trail in bald eagle nest etiquette. Be quiet, don’t make sudden movements….. Meanwhile the nest is right above a railroad, road, scrap yard and barges going up and down the river! A juvenile male Indigo Bunting. At least that was the ID given by the Audubon employee when I sent him a photo. 🙂 Said bird was hanging out with the Painted Buntings on my backyard feeder. I haven’t seen the Indigo parents. A black-crowned night heron in virginia beach!